Warsaw Zoo keepers Antonina and Jan Zabinski help save hundreds of people and animals during the German invasion. In the same vein as The Diary of Anne Frank and Schindler’s List, 2017’s The Zookeeper’s Wife tells a tale of humanity during wartime. 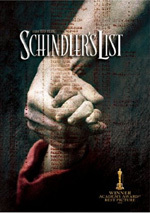 Set in Poland circa 1939, Dr. Jan Zabinski (Johan Heldenbergh) and his wife Antonina (Jessica Chastain) operate the Warsaw Zoo. On September 1, the German forces invade Poland, and this obviously creates much upheaval. Now under Nazi subjugation – mainly represented here via German zoologist Lutz Heck (Daniel Brühl) - the Zabinskis resist these forces as they use their facilities to hide and rescue Jewish residents. At the start of this review, I mentioned other films that reside in the same genre as Wife. Given the prominence of those efforts, Wife comes with a challenge to give us something fresh and new to tell – does it succeed? Yes, though not to a resounding degree. The unusual zoo setting gives the material a spin not found elsewhere, but otherwise, much of Wife follows the expected patterns and we don’t get a lot of spin to throw off a creative vibe. That said, Wife does offer a professional affair that captures the subject matter in a more than competent manner. It sets up the characters and situations in a logical way and brings us into the events well. Wife also comes with a solid cast, led by the always solid Chastain. I think the script leaves Antonina – and the other characters – a little on the flat side, but Chastain manages to add some weight to the role and brings out a vivid performance. The thinness of the narrative does become a minor impediment, though. Wife gives the movie reasonable emotional heft, and I appreciate its general lack of soppy melodrama, but it never quite invests the material with the needed power. While it keeps us engaged and involved, it fails to threaten to go to a higher level. Still, I think Wife presents a valuable story, and it does so in a well-made, mostly compelling manner. That makes it a good historical drama. 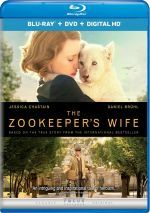 The Zookeeper’s Wife appears in an aspect ratio of approximately 2.40:1 on this Blu-ray Disc. This became a strong presentation. Sharpness consistently pleased. Only a sliver of softness ever occurred, so the vast majority of the movie looked tight and accurate. I witnessed no shimmering or jagged edges, and the movie lacked edge haloes or source defects. Most period pieces like Wife opt for an amber feel, and some of that materialized here, but much of the movie went for standard teal. I wasn’t wild about that choice as a stylistic decision, but I couldn’t fault the reproduction of the hues, as they came across well. Blacks were deep and dark, and low-light shots offered smooth, clear elements. All aspects of the image satisfied. As for the film’s DTS-HD MA 5.1 soundtrack, it seemed more than capable for a character drama such as Wife. The mix managed to open up on occasion and use the five speakers in an involving manner. For instance, a smattering of war scenes used the channels well. However, those moments remained fairly infrequent, as the majority of the film focused on dialogue and general atmosphere. This left us with a soundscape that didn’t sizzle, which was fine with me. A movie like this didn’t need a dynamic soundfield, and the end result created a good feel for the settings. Audio quality appeared positive. Music was lively and lush, while speech appeared distinctive and concise. Effects showed good clarity and accuracy, with nice low-end when necessary. I felt the audio suited the story. Two featurettes appear, and these start with The Making of The Zookeeper’s Wife. It goes for seven minutes, six seconds, and offers notes from author Diane Ackerman, producers Kim Zubick, Jamie Patricoff, Jeff Abberley and Diane Miller Levin, screenwriter Angela Workman, director Niki Caro, production designer Suzie Daniels, costume designer Sabine Daigeler, hair/makeup designer Denise Kum, and actors Jessica Chastain, Shira Haas, Iddo Goldberg, Johan Heldenbergh, Daniel Bruhl, and Efrat Dor. “Making” looks at the source novel and its adaptation, story/characters, cast and performances, set, costume and hair design, and Caro’s impact on the production. “Making” gives us a smattering of decent notes but lacks much depth. The Zabinski Family lasts three minutes, 57 seconds and features Ackerman, Heldenbergh, Chastain, Caro, Workman, and zookeepers’ children Teresa Zabinska and Ryszard Zabiinski. We learn a little about the real people behind the movie’s story. At less than four minutes, the featurette seems superficial, but it’s nice to get a slice of the actual family involved. Six Deleted Scenes occupy a total of three minutes, 57 seconds. Obviously that running time signifies that the clips tend to be short, and they also don’t offer a whole lot of substance. A few seem decent but I can’t claim any of them stand out as especially important to the story. The disc opens with ads for The Book of Henry and The Ottoman Lieutenant. Previews adds promos for The Theory of Everything, The Danish Girl, Hyde Park on the Hudson, Race, Loving and Suffragette. No trailer for Wife appears here. A second disc presents a DVD copy of Wife. It includes the same extras as the Blu-ray. Though not the most creative movie I’ve seen, The Zookeeper’s Wife offers a reasonably engaging drama. It covers a tale of human survival in a fairly clean manner without too much melodrama. The Blu-ray presents very good picture and audio as well as a handful of bonus materials. I don’t think it’s a great film, but Wife largely accomplishes its goals.